A practical, easy-to-read book that will help you integrate sales and marketing for your small business. Go ahead, admit it. There’s just something about sales and marketing that rubs us all the wrong way. After all, who wants to be perceived as the pushy car salesman or what about poor Willy Loman in Arthur Miller’s classic “Death of a Salesman?” There really aren’t that many great examples of classic sales people – unless you want to count Zig Ziglar. For most of the younger professionals out there, he’s more of a legend than a practical guide. 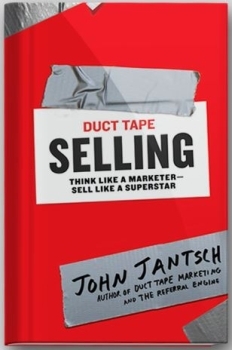 I’ve been sitting on a review copy of John Jantsch’s latest book Duct Tape Selling: Think Like a Marketer – Sell Like a Superstar for a few months, just waiting to tell you all about it. I’ve waited to write and review this book because after you read this, you’ll want it and it just wouldn’t be right to make you wait until it was available. Many of us marketers have been fighting this battle of differentiating sales from marketing for decades. The good news is, that Jantsch (@ducttape) takes this battle and kicks it to the curb by acknowledging the major shift that’s occurred in today’s world of business relationships. “In the traditional model, marketing owned the message of any given business, while sales owned the relationships. The sales team often had little impact on the way marketing messages were developed and, correspondingly, marketing often had little interaction with the end customer…. There are seven chapters inside this section of the book and they all provide a solid foundation for all of the practical advice that follows in the next two sections. Jantsch takes solid, careful steps to make sure the reader understands the basics: listening, connecting to community, defining leads, defining your value proposition, building a reputation and using teaching as a sales strategy. In this section, you are adding to your sales conversation foundation by creating your expert platform, becoming known as an authority, mining your networks, building your “hourglass” or pipeline and ultimately finishing the sale. This section is written for the executive, business owner or sales manager who is responsible for hiring, training and managing sales teams. He urges managers and leaders to “change the channel” or change the context from which they view the sales function. In a lot of ways, I viewed this section as seeing salespeople as “intra-preneurs” defining their own ideal client profiles, and running the sales system in a way that works with their individual expertise and strengths. In a lot of ways Duct Tape Selling is a sort of culmination of John Jantsch’s full experience as a small business expert in a way that his previous books didn’t. 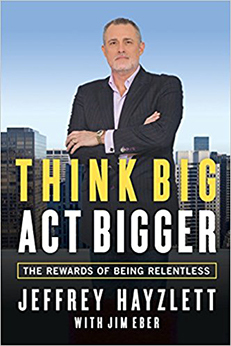 In this book, you can see how his experience as a sales person, marketer and business owner truly come together as more than skills. They come together in a natural way that doesn’t argue with reality and create dissonance between the sales function and the marketing function. Like Duct Tape Marketing and The Referral Engine, Duct Tape Selling is slated to become a classic in the new world of sales and marketing. It’s easy to read, full of insights and will help you finally love the sales and marketing side of your business. 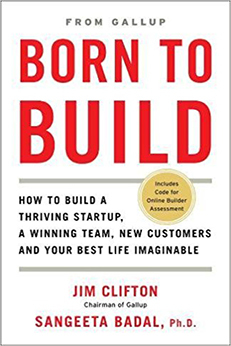 Book Asks if You Are Born to Build? Ivana Taylor is the Book Editor for Small Business Trends. She is responsible for directing the site’s book review program and manages the team of professional book reviewers. She also spearheads the annual Small Business Book Awards. Ivana publishes DIYMarketers, where she shares daily do-it-yourself marketing tips, and is co-author of "Excel for Marketing Managers."